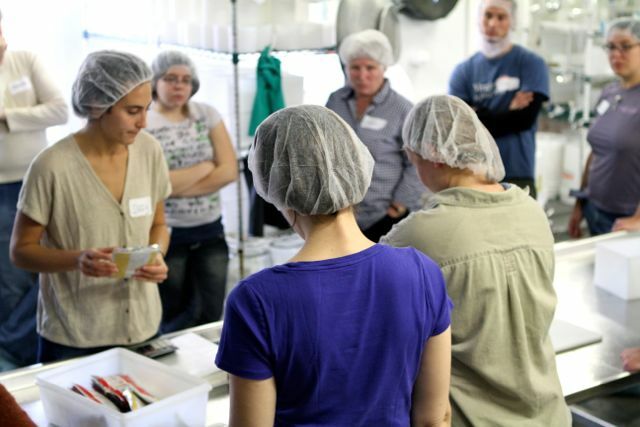 Cheese making workshop a success at the farm! was a bit overbooked, 15 people instead of the usual 10. It was a great group though – lots of good questions, enthusiasm, and energy! 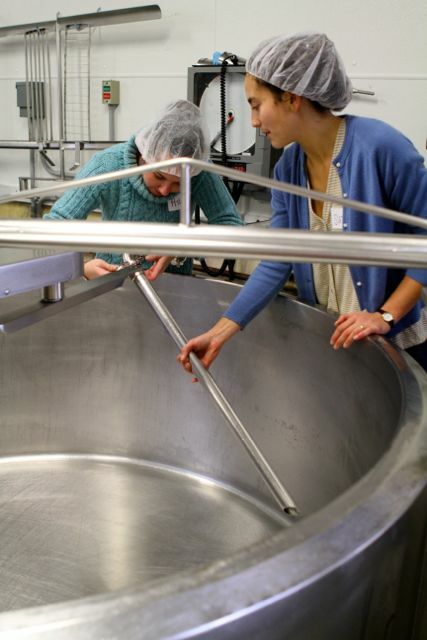 We made Maggies Round and I led the group through the entire process from start to finish: they helped set up the cheese vat, measure out the cheese cultures, inoculate the milk, test the pH, cut the curds, hoop the curds, and wash up all the dishes. 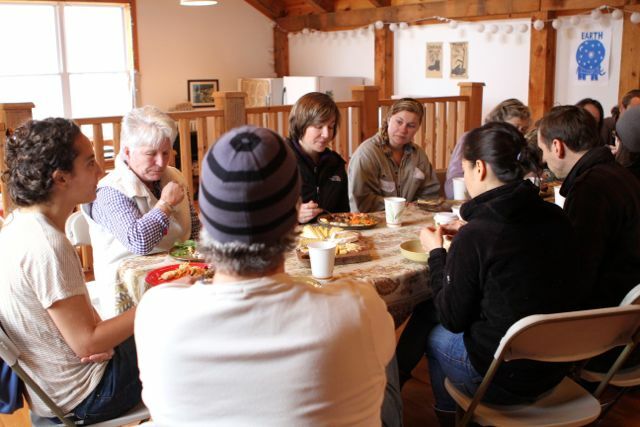 The participants varied from those who work on other farms to those who were simply looking for a family activity on Thanksgiving weekend. 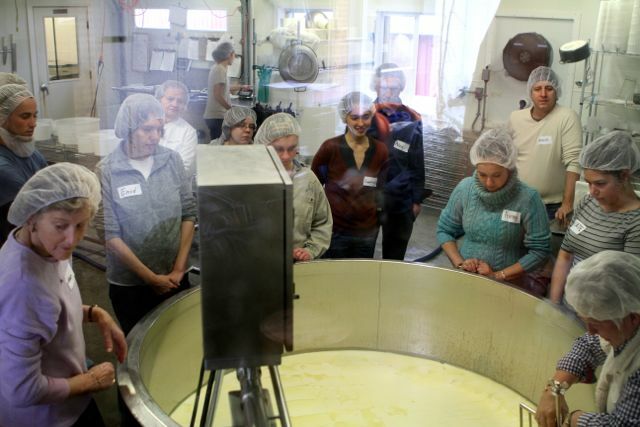 I enjoy teaching the classes because it is fun to share my love for cheese with others, and it is lovely to watch others get inspired by the cheese making process. For lunch we shared a delicious potluck in our community room upstairs. Everyone brought something great and we ate while the milk was ripening. I am planning to teach a Tobasi workshop after the New Year, if you are curious about that, stay tuned for the date. This entry was posted in General on December 12, 2013 by suzy. This is Topaz, our new breeding bull. His breed is mostly milking Devon, but also has some Jersey and New Zealand Friesian in him. He is 11 months old, and comes from Dharma Lea Farm in Sharon Springs, NY. Those of you who have been following our newsletter and facebook posts know that we have been excited about him for months. We made the arrangements to purchase him several months ago, but were waiting until he was weaned from nursing from his mother (just last month) and ready for the big move. He is settling right in here. He is extremely mellow but got right to work breeding a heifer as soon as he arrived. To top off all the excitement, last week we found out that Animal Welfare Approved awarded a grant that I wrote to help fund the purchase of Topaz. 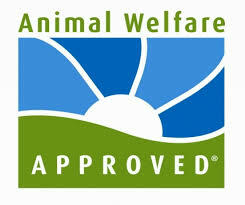 Animal Welfare Approved is an organization that certifies farms who meet high standards of animal welfare, and they also provide grants to farms who have a project for bettering the welfare of their livestock. 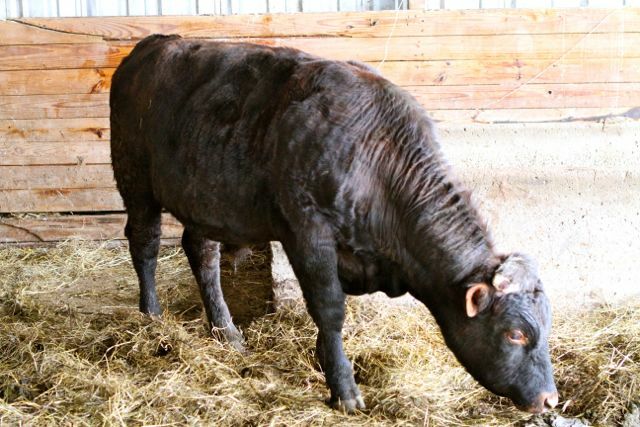 Topaz isn’t just any old bull, he is one who we have been thinking about since the spring, and comes from a farm that has a very innovative breeding program. His genetics will hopefully bring our entire dairy herd into the direction we want to go, resulting in future cows who are better suited to our grass-based systems. This entry was posted in General on December 11, 2013 by suzy. Have you tried the shortbread? 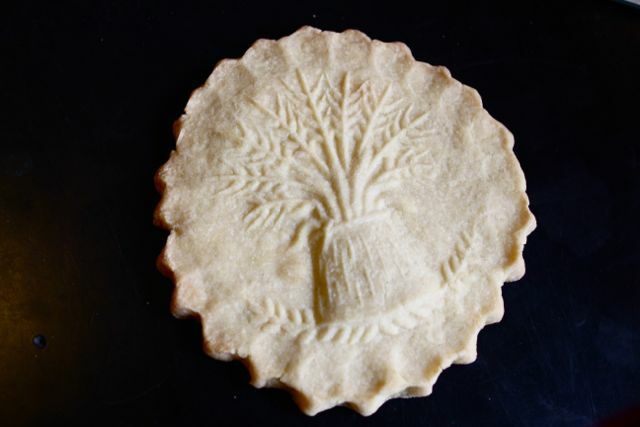 This work of art is a delicious shortbread made here by Jamie Ott at the bakery at Cricket Creek Farm. It is delicate, sweet, rich, and gorgeous. Perfect for treating yourself or a lovely gift. Note that Christmas bakery order forms are now available! There are many delicious goods available including many breads & rolls, muffins, coffeecakes, crumbcakes, and three berry crisps! The deadline for orders isSunday December 22nd and orders will be available for pick-up on Tuesday, December 24th after 11am. This entry was posted in General on December 10, 2013 by suzy. 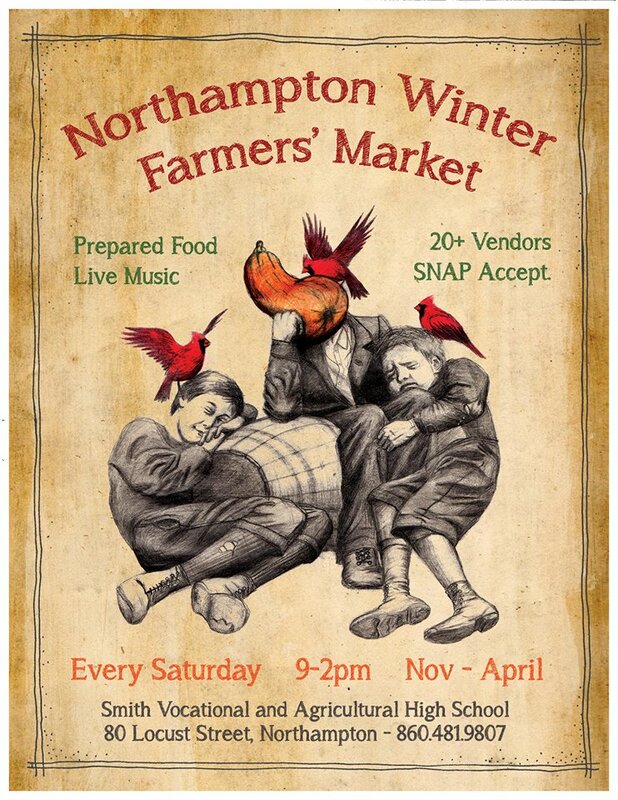 Northampton Winter Market in a new location! The NOHO winter market has moved, but we are still there with loads of goods for sale. Stop by the new spot at the Smith Vocational Agricultural High School at 80 Locust Street, Northampton. See you there! This entry was posted in General on December 9, 2013 by suzy. Sometimes we like to mix things up a bit – keep everyone on their toes! 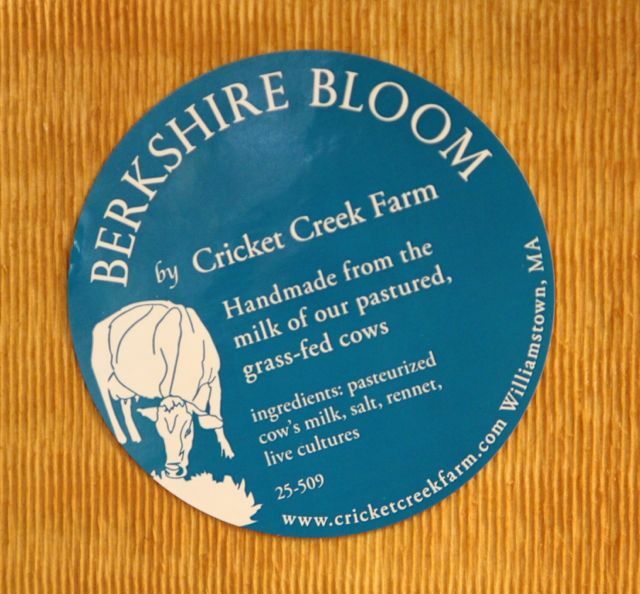 Our new Berkshire Bloom labels will be a vibrant blue, moving away from the pumpkin orange color that it has been. Don’t be confused when you see it in the store or at market – it is the same great cheese, just with a label face lift! This entry was posted in General on December 8, 2013 by suzy. Maggies Reserve, for a limited time only…. Maggies Reserve is the favorite of many. We haven’t had too much this summer and autumn because of what our cheese production schedule last fall was like. We have only a few batches and they are selling like hotcakes! If you would like some, act fast. If you are interested in a whole wheel, let us know and we can make that happen for you! This entry was posted in General on December 7, 2013 by suzy. 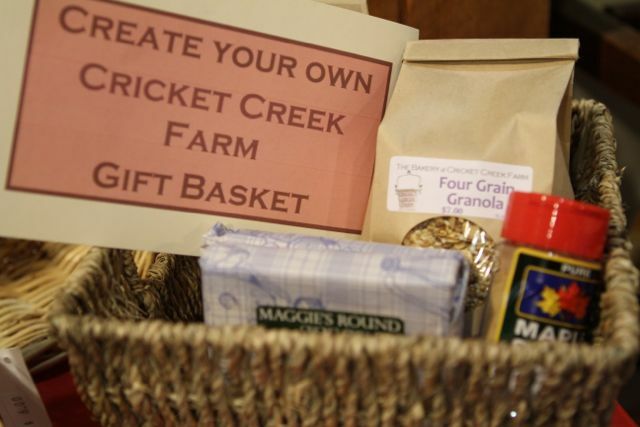 Create your own Cricket Creek Farm Gift Basket! 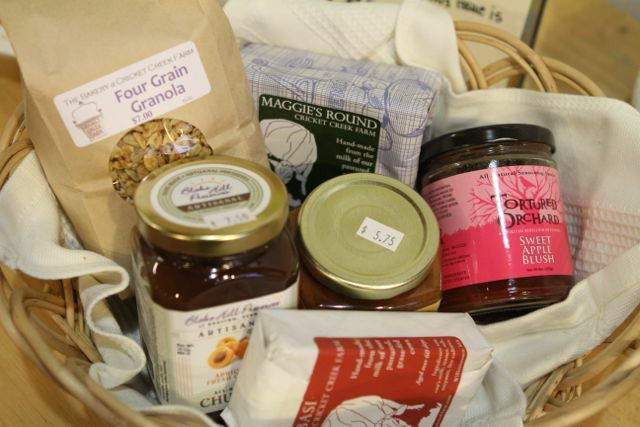 We have got baskets for sale to make it easy for you to put together a delicious holiday gift for someone…. Whether you are attending a party and want something for the host, or you are looking for a gift for a food-loving friend or relative, we have lots of options. 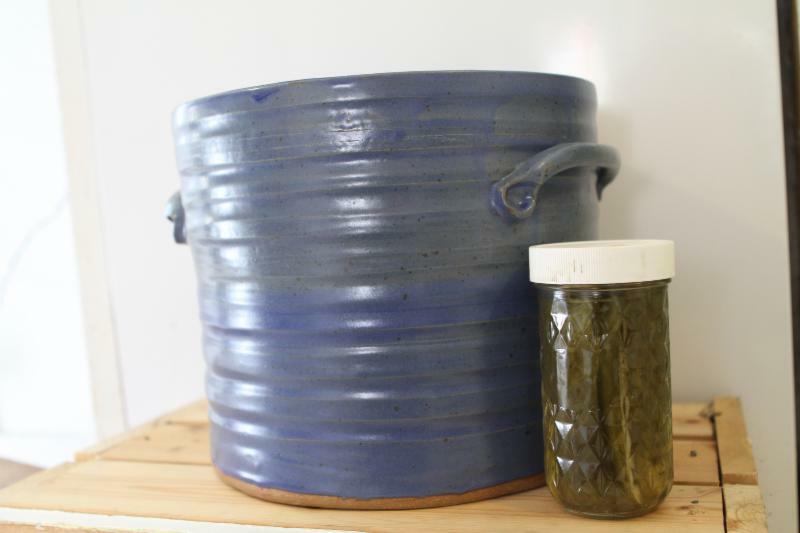 Small and medium baskets, an a whole host of perishable AND non-perishable food items that are produced locally by farmers and artisans. Think of this as as easy and personalized gift. 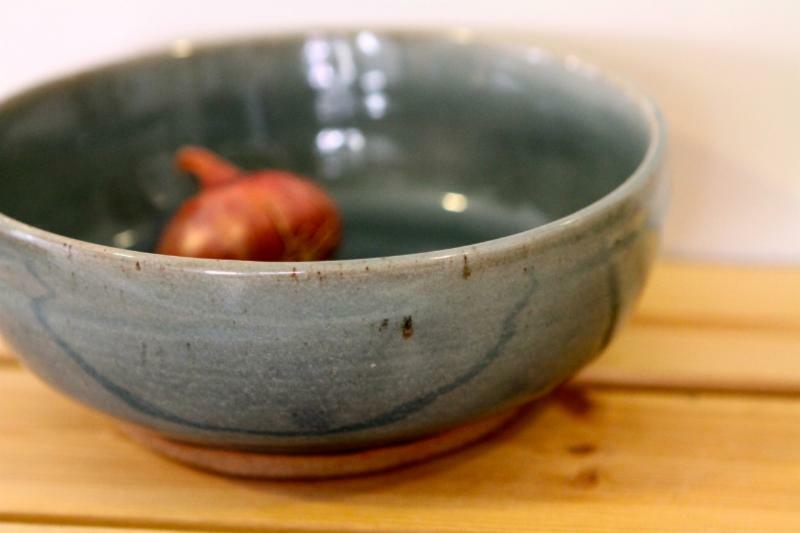 You can even include some of the non-food items that we have made by local artists, such as candles, soaps, and pottery. Have fun with it! This entry was posted in General on December 4, 2013 by suzy. Our newest addition to the farm is this beautiful little girl. She was born to Paris and is 1/2 Brown Swiss and 1/2 Jersey. 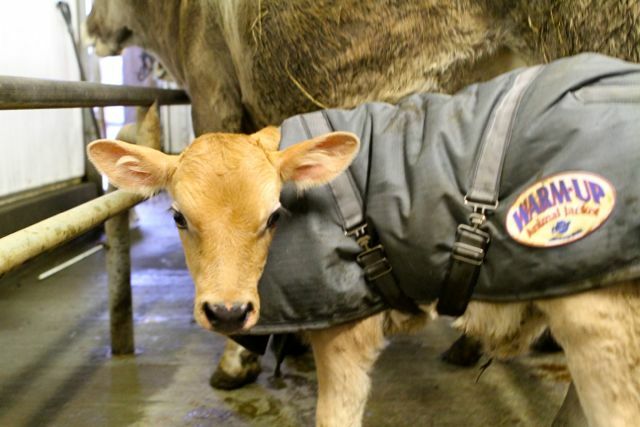 She is living with her mom and nursing directly from her, she even sneaks into the milking parlor to be by her mom’s side! We are looking for name suggestions that start with the letter “p”. If you have any ideas, we’d love to hear them on our facebook page. This entry was posted in General on December 2, 2013 by suzy. When I am not making cheese, attending the farmers markets, hanging out with the cows or writing the farm newsletter I love to make pottery. Some of my pottery is now for sale in the Cricket Creek farm store, alongside the pottery of my amazing teacher Ray Bub. Every piece is unique and was made with love! 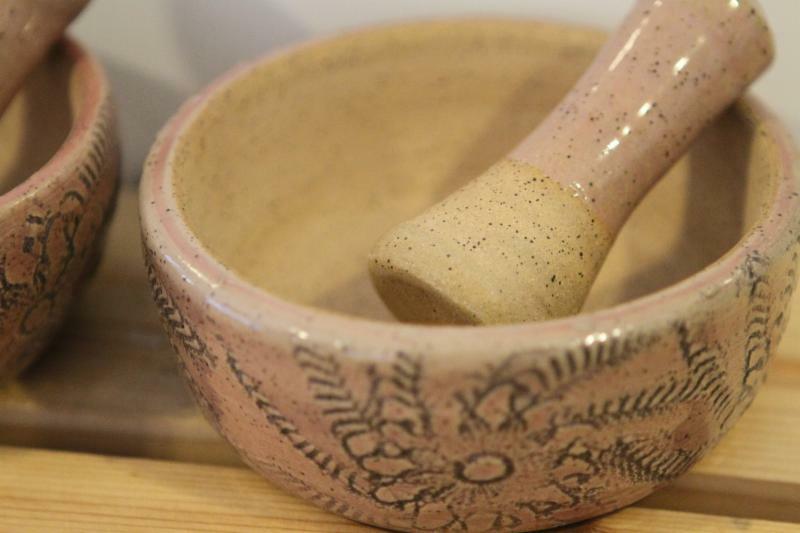 As you plan for your holiday gift shopping, stop by the farm store to check out the pottery and all the other lovely gift items we have in stock. 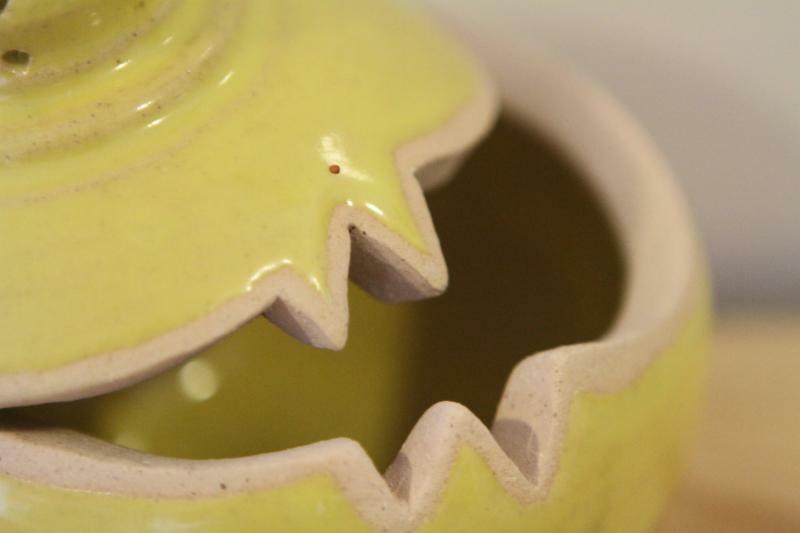 A sampling of images of my pottery can be seen here. Check it out! This entry was posted in General on December 1, 2013 by suzy. It is Thanksgiving time – many I can thank! Many of you Cricket Creek cheese eaters, milk drinkers, and cookie lovers out there may not know Jude and Topher Sabot. 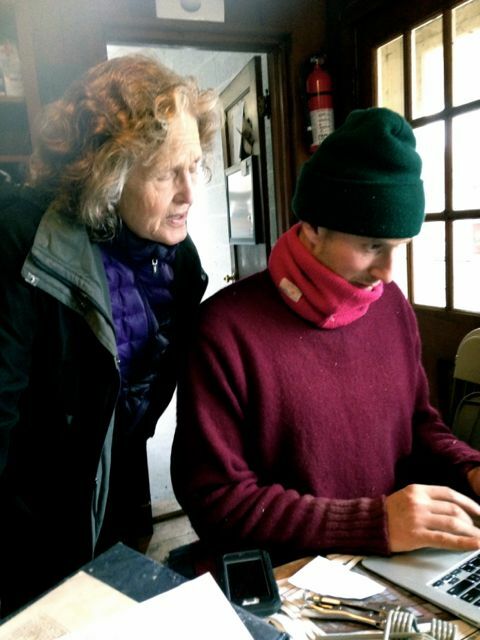 They are the dynamic mother-son duo who own the farm together. They are both extremely visionary, forward thinking, enthusiastic, committed, and kind. 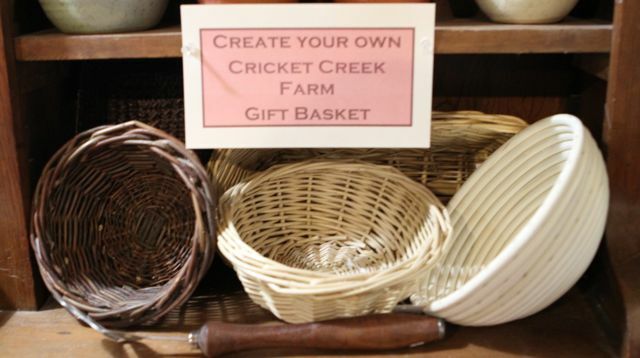 These are the two people who carry the weight of Cricket Creek Farm on their shoulders – with regards to emotional dedication, financial support, and steadfast optimism. They both contribute to Cricket Creek’s success in many different ways and it is them that we have to thank for this truly special farm. You probably know Jamie Ott, the bakerextraordinaire. She has a wonderful lineup of holiday baked goods available for order for Thanksgiving – have you checked out the list?!?! 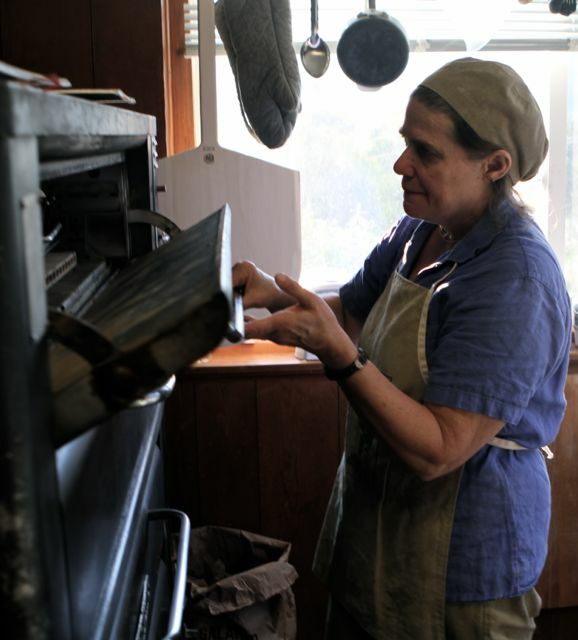 Her baked goods have become a longstanding tradition for many people! If you won’t be in town for Thanksgiving, stop by afterwards for some of her classic cookies or stock up on granola. Jamie deserves many many rounds of applause for her commitment to quality, customer service and high standards for presentation and product – everyone here has learned a lot from her and her extensive experience! The present day-to-day operations would not be possible without our hard-working crew of apprentices. These folks: Justin Olen, Jenna Miller, Mike Durante, Ken Skudder, Mary Hinton, and Cara Hardinger work on all facets of the farm to keep things happening – milking the cows, making the cheese, attending farmers markets, etc. They are all incredibly smart and focused people who have brought a lot to the farm. You have probably seen them around, I hope you thank them! 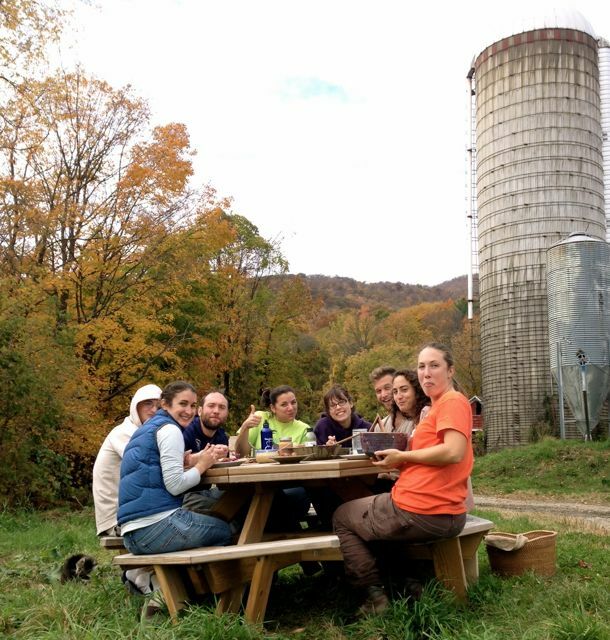 There are so many aspects of Cricket Creek Farm that I feel thankful for, but it is mostly the people who work here. 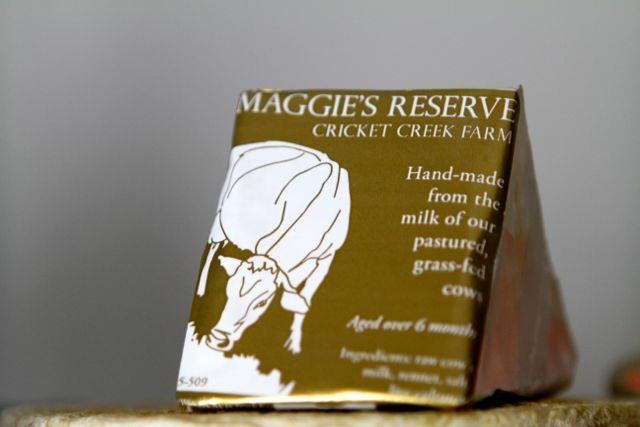 Immense thanks too for all the folks who support the farm in different direct and indirect ways – Cricket Creek has such a wide base and that is what makes us strong! Special thanks to Jen Mygatt and Matthew Ball for filling the farm (and also me) with lots of love and motivation. This entry was posted in General on November 30, 2013 by suzy.